Part 2 - Can You Get Attractive Phones? You can actually get attractive and modern handsets from Tracfone. Two Android smart phones were finally introduced: the Samsung Galaxy Centura and the ZTE Valet, followed a bit later by the LG Optimus Dynamic, Dynamic II, Huawei Glory, LG Optimus Fuel, LG Ultimate 2, Alcatel OneTouch Pop Icon and many more. In addition to the smartphone, a couple of other handsets also had WiFi capability. 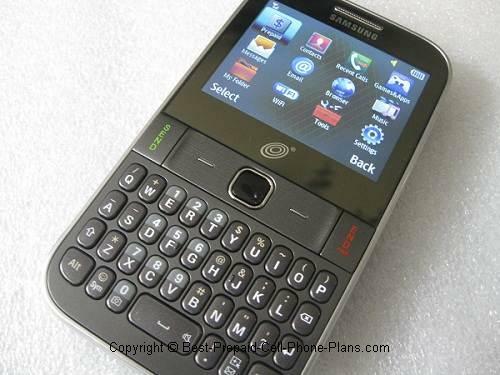 These were the Samsung S390G which had a QWERTY keyboard and track pad, a 2MP camera, web browser with YouTube viewer. The LG 840g was a touchscreen phone that could also connect to WiFi networks. 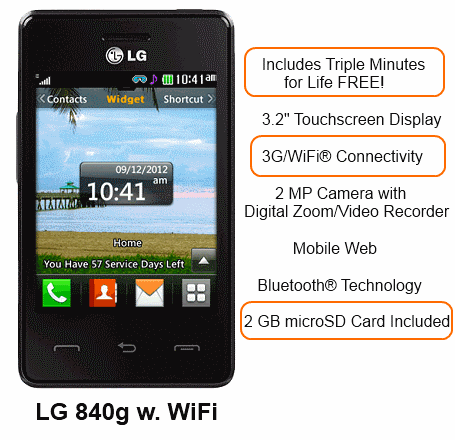 Tracfone has introduced a few other prepaid touchscreen phones: the LG 505C, LG 800g and the Motorola EX124g. A few app-capable phones with QWERTY keyboards are the LG 505C mentioned above, the Motorola EX431g, LG 530g and 500g, Samsung T404g, R455C and S425g. The Alcatel A382 and A392 come with large buttons, simple menu and an FM radio. The LG 440g (successor to the 430g) has a 1.3 megapixel camera and a nice screen. If you don't need a megapixel camera either, then there are a few more good values. Basic phones do have their advantages, such as long battery life and low replacement cost. 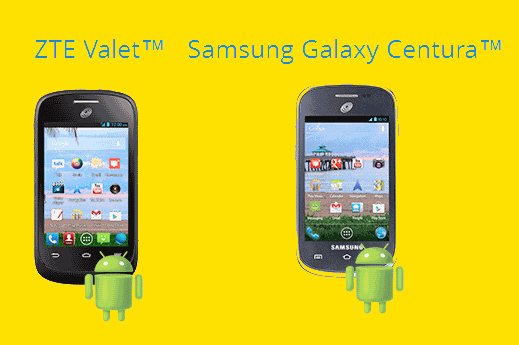 Basic handsets available include the Samsung S150g and Samsung S125g. All of the above are GSM phones that run on the AT&T or T-Mobile networks, but in certain areas you can get a CDMA Tracfone that runs on the Verizon network. These are the Samsung T301G and T245g, the LG 600g, the Motorola W376g, or the LG 420g. These are all Bluetooth-enabled. The LG 420g and T301g are the best of this lot. They all have VGA cameras. There are a couple of online package for saving you money on those three attractive handsets which include triple minutes for life. You can either go with a phone package and buy airtime separately or get a phone plus airtime package, and you can usually get free shipping. In stores, you can go to places like Target and Walmart. I've seen them at the local supermarket and Walgreens sometimes has a good sale. Dollar General seems to have a special relationship (though the prices aren't usually the best). Usually, there are (refurbished) phone plus airtime card packages available directly from Tracfone. Usually the bundle includes a $20 60 minute card that double to 120 minutes or triples to 180 minutes depending on the phone. When you get the packages that include a bucket of airtime minutes you don't have to buy any additional airtime in the beginning. Look carefully to see whether a bundle offers single, double or triple minutes. This will affect how much you pay in the long run. Features available now include Wi-Fi capability, touchscreen, QWERTY keyboard, a megapixel camera, music players, Bluetooth, calendar, phone book, speakerphone, voicemail, games and Java apps. While Tracfone offers a great selection but their plans don't really allow them to offer smart phones. So if that's what your interested in, you may want to check some of the other plans. Here's a list of smart phones from Straight Talk. Once you get a smart phone, battery life becomes an issue. Here's a few tips for making your phone last longer, which becomes especially important if you aren't able to charge your phone. One drawback with TF is that you can't use it with unlocked phones. You can use the Straight Talk and NET10 unlimited plans with unlocked phones, but here are a few more options. PTel (Platinumtel) offers pay as you go and monthly plans that can be used with unlocked phones on T-Mobile's network. Red Pocket does the same, but they run on the AT&T network.